God is glorified when we are obedient to him. That glory unto God is not conditional upon someone else’s response. Jesus models for us kingdom ministry—teaching, proclaiming and healing. Jesus was purposeful to engage as many people as possible, and he was also purposeful to go to the places where seekers would be. In his time, seekers were in the synagogue. Today, seekers might be within the wall of the church. We must be intentionally alert to the people who come to MeadowBrook, for some of them are here because they are seekers of truth, wanting to understand more about the Bible, God and salvation. Where would Jesus be in our community? We should be there physically in his stead. 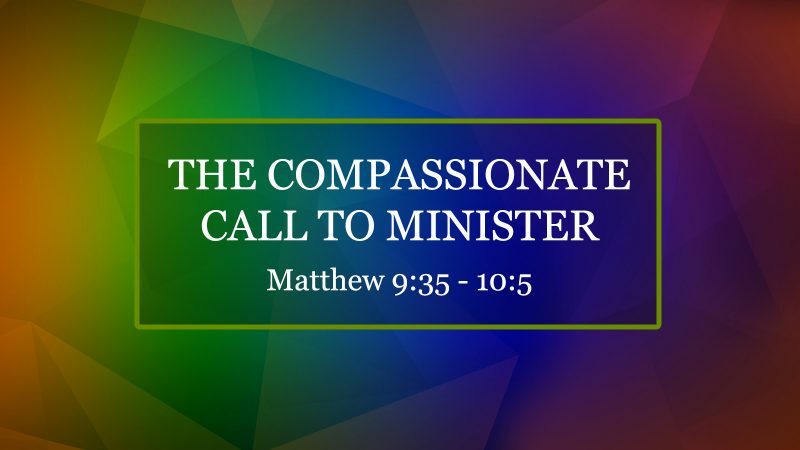 Jesus reveals to us the motive for ministry—compassion. The way we view people will either move us to minister to them in the Spirit or move us to withdraw from them in our flesh. Jesus viewed people in the crowds surrounding him as harassed and helpless, like sheep without a shepherd. Jesus saw the inward need of people. He was not distracted by the way they presented their brokenness. 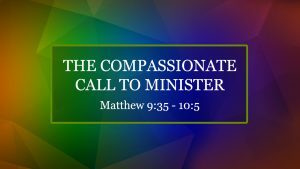 Compassion moves towards hurting and hurtful people to help them discover the gate to the kingdom of peace, which is Jesus Christ. If compassion was a glorious beam of light that could be divided by a prism, then the refraction would reveal the love, mercy and grace of God. Ask the Lord to open your eyes so that you may see as he sees and be filled with his compassion. Jesus informs us of the power of ministry—prayer. Planning is important, but praying is essential. Jesus raises prayer to the highest priority of life and ministry. He does not call the disciples to more vigorous action; he calls them to pray. In the economy of God, there are certain accomplishments and spiritual harvests that only come by prayer. The impotence of the church is directly related to its view of prayer as being unimportant. Ministry that is mobilized with plans and strategies glorifies people, but ministries that mobilize out of prayer glorifies God. Our prayers and actions are meant to be coupled together. Our prayer is to be “God do it, please; here am I, send me.” We pray for harvesters while were are putting on our gloves to work. Jesus multiples and authorizes us for ministry—commissions the church. There is a process unfolding. 1. The first step of God’s ministry was by the incarnation of Christ. 2. The second step was the commissioning of the disciples. 3. The third step was the commissioning of the church. MeadowBrook is empowered and authorized to do great eternal ministries in the name of Jesus.